Onion Juice For Hair Loss - 8 Week Results With 87% Success Rate! Onion Juice For Hair Loss – 8 Week Results With 87% Success Rate! In an 8 week study with 38 people onion juice was successfully used for hair loss, with observable hair re-growth in almost all the participants. In this article you’ll learn about how onion juice can be used to regrow your hair, why it works and what is the best method and application of the juice. At the end of the article I’ll show you a onion juice shampoo and hair mask which you can start using right away. Onion has been used for over 5000 years, both as a diet staple and for its use in the treatment of a wide range of maladies. While the exact location of the onion’s original cultivation is still unclear, these healthy and flavorful vegetables have been cultivated in one form or another around the globe. And, as if the many benefits offered by onions wasn’t already enough, scientists have now learned of its effectiveness at treating hair problems and regrowing hair in those with thinning and baldness. Can Onion Juice Help with Hair Growth? While onion juice may seem like an odd treatment for thinning hair, there are a number of reasons why onion juice is effective at treating it and helping to regrow hair. Methylsulfonylmethane is an organic compound found within the body. This compound is broken down by the body for use of its sulfur, which contributes to bone, hair, and nail growth. While a sulfur deficiency may not be the main reason for hair shedding, supplementation with sulfur can certainly contribute to hair growth. This is great news for onion lovers, as onions are sulfur-rich vegetables. If you’re not an onion lover, however, the application of onion juice to the scalp can still provide benefits and contribute to hair growth and strengthening. Onion has been proven to contain anti-microbial properties, and this can be helpful in battling the natural buildup of oils, chemicals, and DHT on your scalp. Further, onion juice can fight infections and leave you with healthy and strong hair follicles from which healthy hair can grow. Onions are a particularly large source of flavonoids and are perhaps one of the main contributors of flavonoid intake in humans But, what are flavonoids, and how can they help to prevent further loss of hair and even contribute to hair growth? Flavonoids are versatile compounds, and as such, they provide a number of functions in the plants they’re found within. One such plant is the onion, in which they serve as an antioxidant. For men suffering from male-pattern baldness, antioxidants can provide a number of benefits. One such benefit is the neutralization of free radicals, the molecules which are responsible for aging. In men with male-pattern baldness, free radicals are, in large part, responsible for hair thinning and loss. This is because these molecules destroy hair follicles and make it difficult for hair regrowth to occur. As you can imagine, the damage done by free radicals to the hair follicles can be particularly irritating and inflammatory. That’s one more reason that onion juice is an effective treatment for hair loss; its anti-inflammatory properties make it useful at decreasing hair follicle inflammation and irritation and creating a healthy environment for hair growth to occur. There’s no doubt that onion juice has a number of properties which could make it effective at treating thinning hair no matter the cause. But have there been any scientific studies done to prove its effectiveness? While current research is lacking, one study which was performed in 2002 and published in the Journal of Dermatology has shown the effectiveness of onion juice for the treatment of alopecia. This particular study focused on patients with alopecia areata (a form of hair loss that’s different from male-pattern baldness and which will be discussed later). The study consisted of 38 patients, and these patients were split into two groups. Group one, which consisted of 23 participants (16 males and 7 females), were instructed to apply onion juice to their scalp twice per day for two months. Group two, which consisted of 15 participants (8 males and 7 females), were instructed to apply tap water to their scalp twice per day for two months. At the end of the 8-week study, only two patients from the tap water group showed signs of observable hair re-growth. The group which applied onion juice to their scalps, however, had a stunning 20 participants with observable hair re-growth by week 6. That’s 86.9% of the group! Can Onion Juice Treat Other Forms of Alopecia Besides Alopecia Areata? The above study was performed on individuals with alopecia areata. Alopecia areata is a form of hair loss which is caused by the immune system attacking healthy hair follicles. These attacks will eventually alter the hair growth cycle, miniaturize the hair follicle, and lead to halted hair growth. But what about those who suffer from androgenetic alopecia, also known as male-pattern baldness? While the reason for the miniaturization of the hair follicle is different than in those with alopecia areata (DHT vs immune system attack), the fact still remains that miniaturized hair follicles will halt hair growth completely. While onion juice may not reduce the production of DHT found in the body, it can help to reduce the amount of DHT found on the scalp, reduce inflammation of the hair follicles, and reverse the effects of miniaturization of the hair follicles. This means that onion juice can be effective at treating hair loss in those with male-pattern baldness and other forms of alopecia. Are There Side Effects Associated with Application of Onion Juice? As with any supplement, it’s important to speak with your doctor if you have any pre-existing medical conditions or concerns. Onion juice, when applied directly to the skin, may cause temporary irritation and burning. Apply onion juice to a small patch of skin on your wrist prior to use on your scalp. 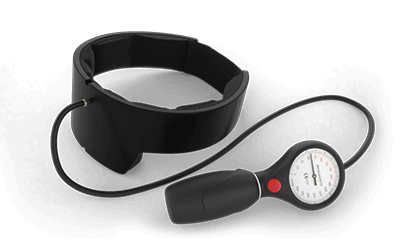 This will give you an idea of how your body reacts to its use and whether you’ll have any issues with use. If you’re pregnant or nursing, consult with your obstetrician prior to use of the supplement. And, of course, if you’re allergic to onion, avoid use, even if it’s non-oral. How Can You Add Onion Juice to Your Hair Care Routine? If you want to reap the most benefits associated with onion juice, then direct application the scalp is the best method to use. There are two main ways of extracting onion juice from onions. One involves the use of a juicer, and the other uses a garlic press. When using a juicer, cut the onion into quarter-sized pieces and peel. Feed the onion pieces, one by one, into the juicer. With a garlic press, cut the onion into eighths (or smaller), and peel. Place on piece of onion into the garlic press, and squeeze over a cup or bowl until all of the juice has been extracted. Repeat until all onion pieces have been thoroughly juiced. Learn more about how to use vegetables juices for hair here. Now that the juice has been extracted, pour into your palm and massage between hands. Rub the juice into your scalp in a slow, circular motion. Be aware that juice may flow down your scalp, so avoid direct application to the front of the hairline to avoid onion juice getting into your eyes. 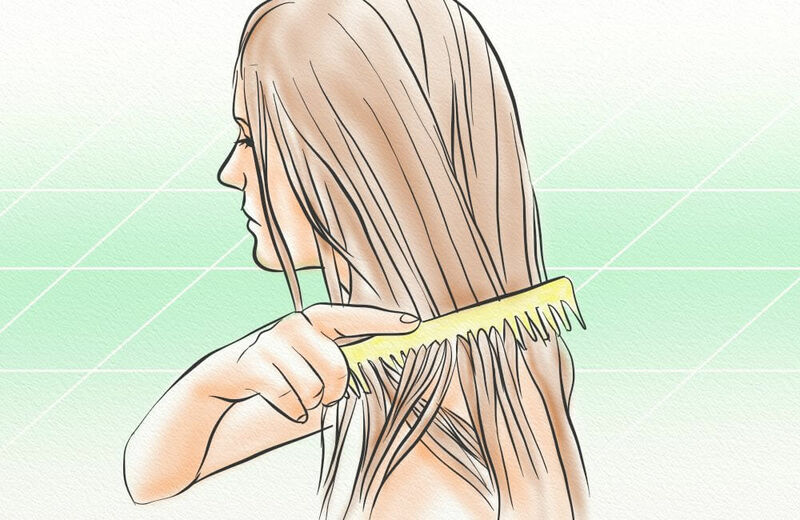 Instead, apply to the top of the scalp and spread the juice outward. The onion juice should absorb, though there will be left over residue. Rinse after at least 15 minutes, or leave the onion juice on your scalp overnight and then rinse and shampoo in the morning. While the direct application of onion juice to the scalp is the simplest form of treatment for thinning, receding hair, it’s understandable that some individuals may not be enthused with the idea. If you’re one such individual, then adding onion juice to your shampoo may be an easy way to incorporate onion juice into your hair care routine. While onion juice can be added to store-bought shampoo, some individuals may be more interested in a natural and chemical-free shampoo alternative. If you’d like to give chemical-free shampoo a try, consider testing out one of the base shampoos mentioned below and adding onion juice for an extra boost. Bring water to a boil. Add 2 – 3 bunches of nettle and allow to steep. Strain. Add the rest of the ingredients to the nettle tea, and mix. Also add one teaspoon of onion juice to the base. 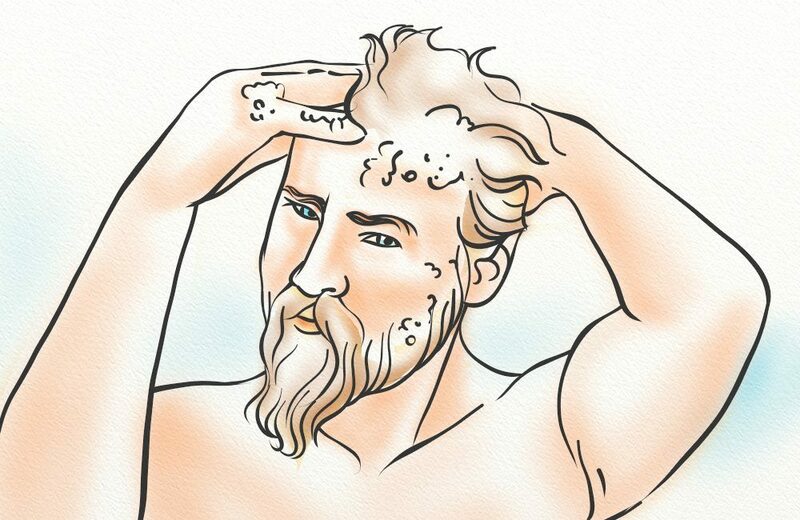 Lather onto wet hair, and allow to sit for at least 2 minutes and up to 5. Rinse thoroughly. If the onion scent is too strong, shampoo your hair a second time with the above shampoo base, this time without the onion juice included. Stinging nettle helps to clean the scalp pores, block DHT and reduce inflammation. 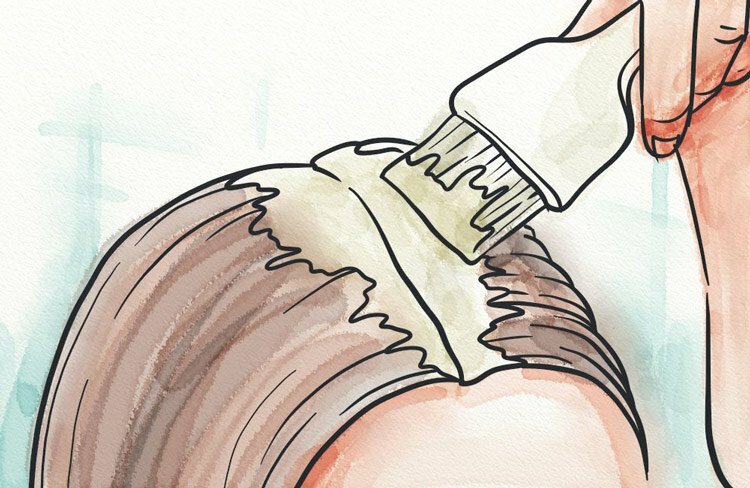 Hair masks are a simple way to add onion juice to your regular hair care routine, and it can be applied in as little as 5 minutes. Cut a medium – large onion into quarter-sized pieces. Peel one of the quarter-sized pieces. Next, with the help of a garlic press or juicer, juice the onion. You may need to use more than one-quarter sized piece of onion. Once you’ve collected two tablespoons of onion juice, combine with one tablespoon of honey and mix. Apply the onion juice and honey mixture all over your scalp in a thin layer. Leave on for at least 15 minutes, though you can also cover with a towel or shower cap and leave it on overnight. Rinse, and then shampoo your scalp as usual. This method can be done at least once per month, though it’s best to do it no more than once per week. Although there is no absolutely firm evidence that onion juice can be used to treat male pattern baldness, there is good reason to believe that is would be a beneficial addition to your hair care routine doe to its ability to reduce inflammation and reduce DHT levels in the scalp. If you have a question or comment, please leave a comment below. I have been experiencing drastic hairfall from last 1 year. 4 months back i have started applying monoxidil.Everytime i apply monoxidil, my hair gets rough and fall out.I am currently washing hair on regular basis with organic shampoo, using monoxidil, taking hair vitamins but i dont feel any progress here.My hair have become very thin. Do you think adding onion juice to this regime will help? Hi Abhinav, honestly I don’t think onion juice will help very much. Topical applications have limited effectiveness. You need to first sort out your body so you’re not fighting a losing battle. Then maybe use the onion juice to speed up recovery. Also, I would not recommend shampooing too much, even with an organic shampoo. Try using just apple cider vinegar (4 teaspoons per wash) once per week, with no shampooing. Natural oils that are removed during shampooing help to protect the scalp and hair follicle. 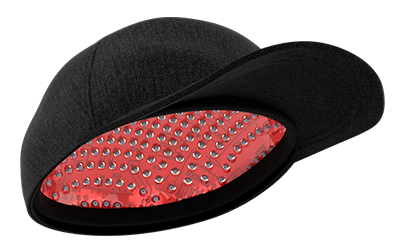 Topical applications only have limited effectiveness. I wouldn’t rely on this to regrow hair, there are other changes you need to make from the inside-out first. I have had hairfall n hairloss about 3-4 yrz ago..can i regrow my hairs back with onion juice..if i starts to apply now?? Onion juice is not a magic cure. You will need to do more than that to re-grow all the hair you’ve lost in the past 3-4 years. The most important point is that you fix the root cause of the hair loss and then use onion juice to speed up the recovery. Iv been balding from the crown and temples for the past few years. But onion juice use for the past 2 months has done amazing results.. I have noticed new hairs on the crown spurting out and feel like bristles. This has been long when they were there. I can honestly say onion juice therapy is the ultimate solution to all hair loss issues. Hi… Is it true.. Am having some baldness at forehead and center of the head.. Not full baldness.. Also my hairs are getting thinner. I am already started using onion juice. If I’m not able to juice the onion is it ok if I put it in a blender to get it to really small pieces, add a bit of warm water and then the honey? That is probably quite a good alternative. You can also try removing the fibre after blending using a muslin cloth. Hello there. I want to know.. I’m allergic to sulfur and unions contain sulfur. What other remedies are method can I use for hair loss. Hi Mark, onion juice wouldn’t be the first thing I recommend for hair loss, in fact I don’t really recommend it at all, since there are better (and less messy) solutions available. For example, instead I would recommend a mixture of magnesium oil and peppermint oil applied to the scalp. However, please keep in mind that topical mixtures (mixtures applied to the scalp) will only have a very minor effect on your hair health. There are much more important things to focus on. I have been following you for over a year now and I think all your research is amazing and you have been a wonderful help to many people, but I feel onion juice is actually one of or the most effective treatment for hairloss. I’ve tried many many things but nothing has stood in the way of onion juice. Even baby hairs are growing at my temples, and my hair is thicker than ever and a bonus is I have less grey hairs. So I would strongly consider to recommend this treatment instead of turning people to other options. 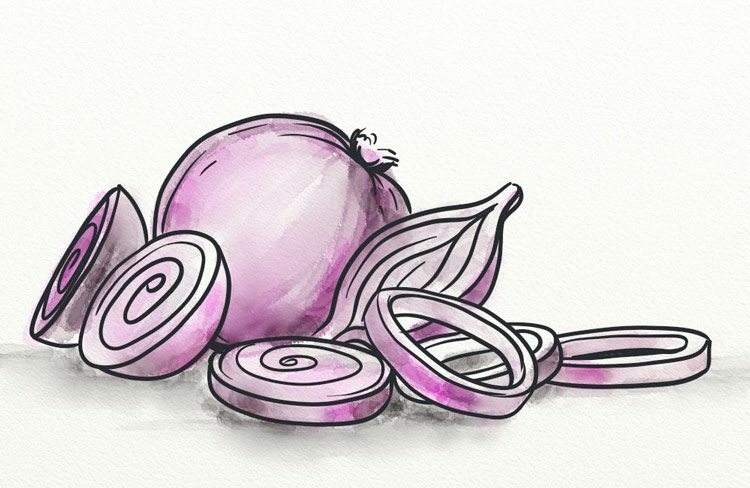 There are countless success stories of using onion juice online. If anyone wants more proof watch this guy on YouTube and his experience with onion juice and how he does it. I learnt everything from him. Thanks for the comment Dav, it is interesting to hear your experience. Hai Will, i have severe itching on my scalp (My Skin is oily in nature) from the past 7 years,i consulted many doctors but none couldn’t diagnose properly.i lost lot of hair, currently i am using HairforU Solution as prescribed by doctor. i feel the itching on my scalp(Kind of fungal infection) is the root cause for my hair loss.any solution to fix the itching problem. moreover i am more concerned about itching on my scalp than hair loss. If it’s truly a fungal infection, then you would need to treat that before proceeding with any hair growth techniques. I have been suffering hair loss for 4 years from crown area ,I have done almost all natural remedy but it is not curingand gradually receding.i became frustrate please tell me what to do. applying onion has given some effect . You need to change your body from the inside-out. Thinking that any topical treatment will fix your problem entirely is not wise. Firstly change your diet and then use a topical treatment like Gro2 to stimulate regrowth. Onions way help, but they aren’t the best option. What is Gro2? is it a store bought product or something that is made using. I have tried to google this but haven’t been able to find more information? Hi Michael, our Scalp Elixir was originally called GRO2. It’s the same thing, we’ve just steadily been improving it. Hi – once applying the onion juice how long do you leave it in before washing your hair? Is the onion juice more effective if you leave it in your hair for a longer period of time? Hi Vin, I would suggest that there are better topical treatments than OJ. For example, peppermint essential oil is actually proven to help hair regrowth (faster than minoxidil) whereas onion is basically unproven. Can I use Rosemary and peppermint oil for direct Application to the scalp? And I take pumpkin seeds soaked overnight in water. Is that okay? Thanks in advance. Both of these can be used and are ingredients in our Scalp Elixir. Pumpkin seeds soaked overnight are also a very good source of hair growing nutrition. Really? Does it work? I also coloured my hair once and experienced grey hairs a lot…. now 80% of my hair are grey,I have recently started applying onion juice once or twice…. will it help me in treating my grey hairs,and how long it will take to see results?? What other herb can I use instead of Nettle for making the shampoo? Fresh Mint, Coriander & Basil are easily available where I am. My dear friends apply daily for result in a month…its true? What about grey hair? Do you believe that any of your tips Will help hair reversing his color? Hi Peter, I haven’t looked into this at all, though it would be an interesting subject to study. I did hear that the Japanese population of Hawaii is well known to go grey earlier in life then the same age Japanese living in Japan. Apparently the anecdotal reason was diet related. What kind of onion you recommend; the red ones or not? Can I apply onion juice is I have seborrheic dermatitis? How long do you recommend applying? Hi Marco, I actually don’t recommend onion juice. It may work, but there are better topical alternatives available, so why not use those instead. Please read our free eBook – Scalp Secrets for more details. Hi, I’ve read all about it! It’s brilliant, but I don’t understand how have I to apply ACV in my scalp, I mean what proportion. By the way, I have seborrheic dermatitis; Can I use ACV or the Scalp Elixir? I would like some advice to treat oily scalp. Hi Marco, you can read more about ACV here. I’m not totally sure about the best method if you have seborrheic dermatitis. You probably need to speak to a dermatologist about that first. Will this be highly beneficial if I use this with dermaroller? Dermarollers are generally considered to improve the effectiveness of topical treatments. However, like I have said before, I would prefer to use something like our Scalp Elixir rather than onion. I am Sarath have been loosing my hair from the last 2yrs which resulted in thinning of hair from temples and Crown. So started applying onion juice from 2weeks of thrice weekly does it helps me in the making my hair grow thick and also let me know should I do any other. While onion juice can help, it’s definitely not the most effective method. You should check out Will’s Scalp Secrets guide for more hair growth tips. I’m Kandeeban, i started experiencing my hair like a year before. My hair is actually some what frizzy and slightly curly in nature, after the hair loss factor comes in my life its so frustrating for me now. At first i wasn’t used to this hair loss and then i took it seriously, so obviously i browsed the net for the reasons for this hair loss. to be precise there were many reasons and many solutions for it. But I don’t know which might suit well for me. 2. How can i prevent from hair fall and regrow it ? I’d be happy if you help me through with hair loss problem! Hello sir I am Vijayalaxmi Patil. Since 8 months I using onion juice one after another day before home made oil application and morning wash hair with apple cider vinegar shampoo with juice..even though no effect sir.. I had got Keratin done around four months back. Now, my hair is falling out like anything, can onions help?